No matter what draws you to big game hunting – the challenge of the wilderness, dangerous prey or an impressive trophy, these big game spots are right here in the USA and offer something for every trophy hunting enthusiast. The Challenge: Inhospitable terrain and weather make this the most challenging hunt in the USA. If you crave adventure and a true challenge, then a hunting expedition through the wilderness of Alaska might be just what you need. From coping with unpredictable and inhospitable weather to tracking game movements over a long period of time, Alaska has plenty to offer the experienced hunter. Game is abundant in Alaska, but the state is so large that some animal populations are tough to track and locate, adding to the challenge and the level of skill required. The right training and equipment can make the difference between success and failure on this intense hunt. Moose, elk and other large animals abound in Alaska, while those willing to face a full grown grizzly bear can do so – if they dare. According to state hunting experts, preparation is key to a successful hunt; expect to spend about a week on your expedition if you visit the state; it takes time to cross the terrain and locate the game you seek. Searching for the perfect trophy for your game room wall? Try a 50 inch moose—these huge herbivores are heavy on the ground in Washington. 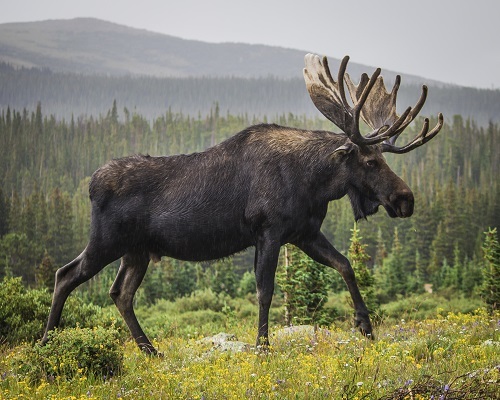 While you have a good chance of bagging one when you go, the opportunity to hunt is harder to come by.Washington has a raffle and auction permit option, so you’ll have to enter your name into the lottery to grab a chance to hunt moose in the state. Make sure you are fully educated and prepared for your hunt if your name is called as it can take years to win a coveted moose pass. According to the Washington State Department of Fish and Wildlife, fees collected from the moose and bighorn sheep lotteries help pay for the care and management of the species. In addition to abundant moose, the state also offers permits for elk, bighorn sheep and mountain goats. Hunters can apply for one or more permit lotteries from inside or out of the state. 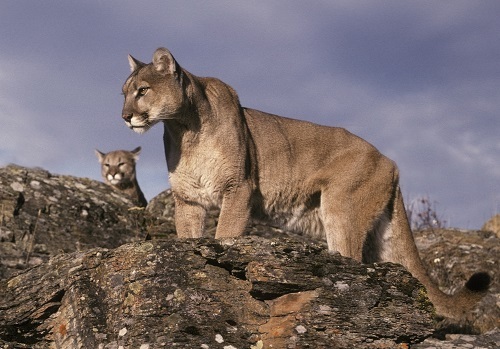 You’ll have to put in some extra work if you want one of these oversized and wily creatures to adorn your home; mountain lions in the wilds of Idaho enjoy optimal living conditions and are notably oversized. These cats are tough to track – and they do fight back, making pursuing a mountain lion through the snow a daunting proposition. According to the Idaho Department of Fish and Wildlife, you can hunt mountain lions in the state 10 months out of every year and purchase more than one tag if needed. Proper training and the right equipment is a must for this dangerous hunt; head in prepared and you’ll be more likely to be successful. 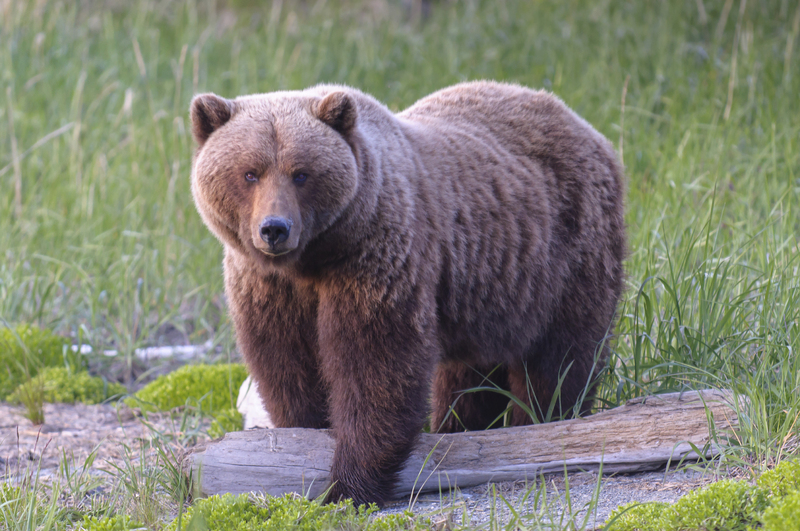 If you miss a mountain lion, you may still spot some of the other big game the state is known for – black bear, elk and bighorn sheep are all popular trophy picks in Idaho as well. One of the biggest land animals in the United States, Bison roam the range in Montana and a skilled hunter can walk away with a freezer full of lean and healthy meat along with a handsome trophy piece. Because of their sheer size and the difficulty involved in hunting from afar, bison offer a true challenge for the experienced hunter. If you’ve ever wondered what life was like on the plains hundreds of years ago, a bison hunt can put you in touch with the past and allow you to experience what others only dream about. 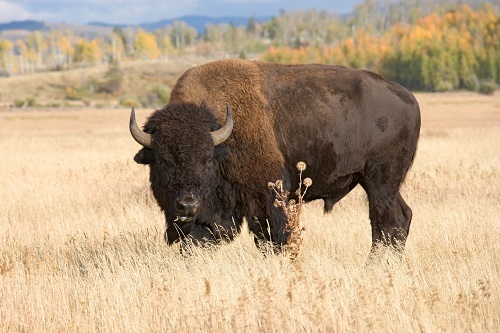 According to Montana’s Fish, Wildlife and Parks department, bison permits are available from November through February and you can hunt on private or designated public land, including some areas around Yellowstone National Park. While you’re tracking down a bison, you’ll also be able to keep an eye out for wolves, elk, mountain lions and more. Whether your idea of an ideal outing is a day spent elk hunting in the lush wilderness or fighting your way through the wilds of Alaska and facing down a grizzly, one of these big game hunts is sure to please.